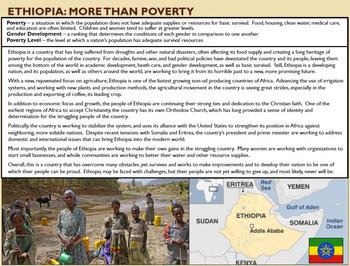 Are you teaching the Geography of Africa or simply need a no-prep lesson resource on Ethiopia? 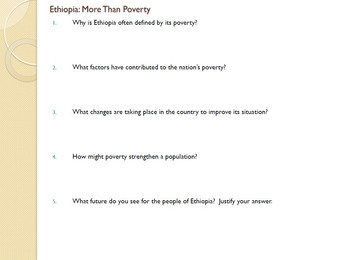 This simple two-page reading and question handout introduces Ethiopia and discusses its challenges and opportunities for future generations. Questions follow the reading, map and images. Great for a homework assignment or for a quick mini-lesson in class. 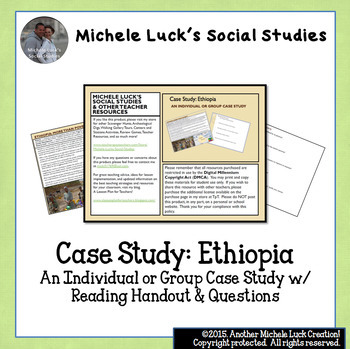 This is also available in my Geography of Africa Complete Unit in my TpT Store. 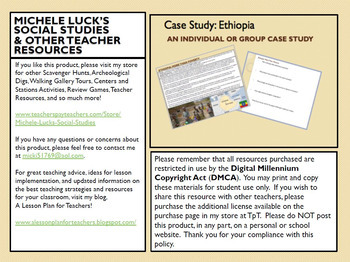 Visit my store for other great activities, assessments, games, and so much more!